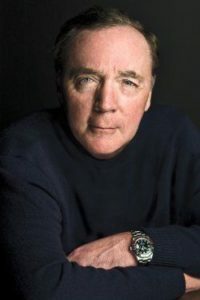 James Patterson, the author of the popular Alex Cross books and numerous other thriller series and standalone novels, has been quite busy recently. Not only is he writing a new thriller novel with the ex-president Bill Clinton, titled The President is Missing, a book which will be turned into a TV series by Showtime and is starting a new true-crime book and TV series teaming up with Investigation Discovery, but he has also teamed up with the managers of Albert Einstein’s archives, located at Hebrew University in Jerusalem, to develop a series for kids, middle schoolers to be exact, one that is inspired by the major discoveries by Albert Einstein. The James Patterson Alex Cross series is the author’s most popular work so far, but he has been always working on newer books and adventures. The first three new kids’ books involving Albert Einstein’s discoveries will be published next fall by the publisher Little Brown. Women are definitely underrated in science and I wanted to address that. The Einstein archivists will help James Patterson with research for these books, and they will also chime in with ideas related to the manuscript and the actual artwork. These books are the most work important I’ve ever done,” … “They’re an accessible, fun way to engage kids — particularly girls, who are too often dissuaded from pursuing their interest in science — in an adventure that weaves science, technology and history. said author James Patterson further. The book release will be timed with a nationwide science fair and some of the proceedings of this endeavor will go towards helping education and pro-reading initiatives. James Patterson is well-known not only for his fast-paced thrillers but also for his charitable character. For example, in 2015 he received an award from the National Book Foundation for his support towards universities, libraries, colleges, independent bookstores and college students. but not as young as you.